It is official the title of Shankar’s magnum opus will henceforth be known as I and not as earlier referred as AI. 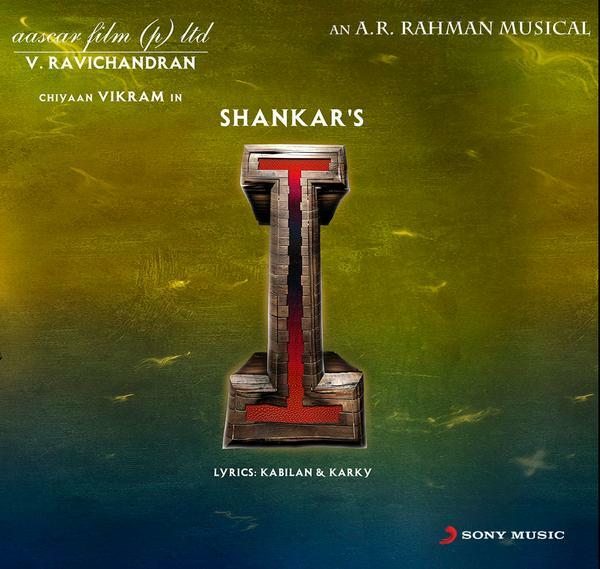 AR Rahman himself has referred to the film as I and Sony Music has come out with a new I logo. The change of title was intimated by Sony Music India on their official Twitter page. Filmmaker Shankar’s Tamil magnum opus “Ai” will henceforth be called “I”. The change of title was intimated by Sony Music India on their official Twitter page. Sony Music South has acquired the music rights of “I”, scheduled to be released Sep 15. “We are just 5 days away from the #iAudioLaunch! The A.R Rahman Adhiradi #iMusic album is coming your way on Monday! #i,” Sony Music South tweeted on Wednesday. The film’s official poster was also unveiled in the tweet. “I” features Vikram and Amy Jackson in the lead roles. It is reportedly made on a budget of Rs.180 crore, and has been on floors for nearly two years. The film’s post-production work featuring a lot of visual effects is currently underway. Hollywood star Arnold Schwarzenegger is expected to attend the audio launch of the film, which is produced by Aascar Ravichandran.